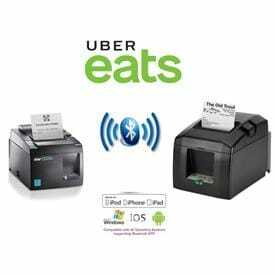 Uber Eats makes a real impact on your business. When your food is featured in the app, new customers can discover it and loyal customers can enjoy it more often. We’ve seen restaurants increase sales, lower marketing costs, and hire new employees to capitalize on Uber Eats demand. Uber Eats is the fast way to get food to your customers. With hundreds of delivery partners on the road, you can deliver in an average of 15 minutes and maintain the best possible food quality. You can also track orders from the floor, right to a customer’s door. When you partner with Uber Eats, we’re in the weeds with you. We’ll get you set up, promote your menu, and work with you to improve pickup and delivery times. We’ll continue to test and learn together to boost volume, keep operations smooth, and impress your customers.